Please come to this fundraiser bicycle tour! July is a great month of food-source sustainability awareness in Athens County, Ohio. There are events throughout July (see the Athens County Visitor’s Bureau website at <athensohio.com> for more information) to educate as well as showcase local producers, and enjoy foods produced in Athens Co at area restaurants. The 30- Mile Meal Project is a sustainability movement to create meals from food grown and produced within 30 miles of Athens, Ohio. This bike tour is a fundraiser to benefit several emergency food-providers in Athens County. The bike tour proceeds will be donated as Athens Farmers’ Market gift certificates. This will enable these emergency providers to assist area residents in gaining greater access to locally produced fresh foodstuffs. At least $10 of each registration goes directly into the gift-certificates. This year’s tour has three lengths: a15-mile beginner/family ride, a 30-mile ride (both are on the flat, paved Hock-Hocking Adena Bikeway, an Ohio rail-trail), and a fairly arduous 40-mile route mostly on public roads. 30-mile riders cross several small roads, while 15-mile riders cross one city street. The 40-mile riders return via part of the Bikeway.) 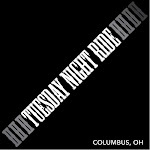 Riders on the 40-mi route must start by 7:45 a.m. All others riders check in to ride between 8:00 and 9:00 a.m. All rides start and finish at the Athens Community Center, 701 E. State Street, Athens, Ohio (map <athensohio.com>). Pre-registrations must be received by June 30th. We cannot refund if you are unable to ride after you have registered. On-site registration is also possible, but will not include lunch. Riders are expected to be fit enough to complete whichever route is chosen. The 40-mile route will include many hills-some quite challenging; 40-milers be prepared for a tough ride on 27 of the miles. You should wear a high-visibility jersey. All riders MUST wear an approved helmet while riding.